Do you need a perfect DIY craft idea for your kids to make for Mother’s Day? I have an idea for you! 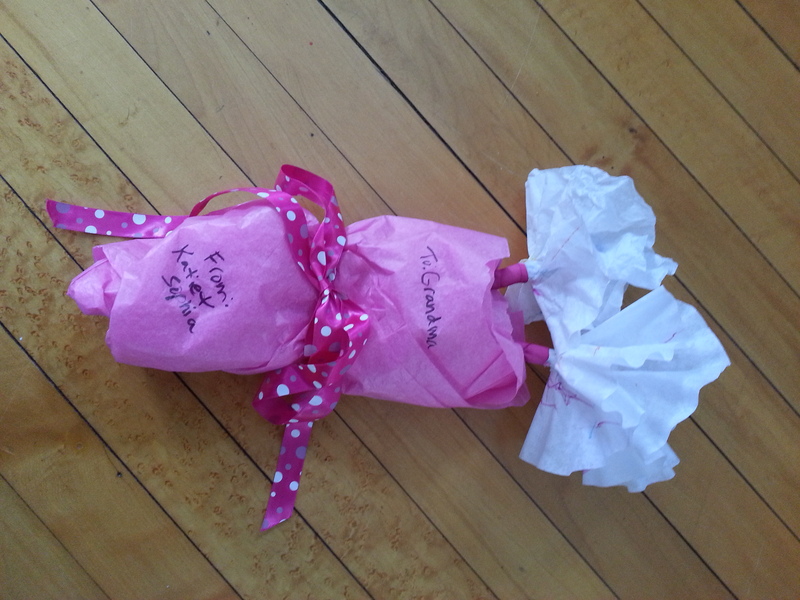 My girls, Katie and Sophia, made these paper flowers for their Grandma for Valentine’s Day. My girls each made a flower. Their Grandma loved the flowers my girls made for her. These flowers will also work for Mother’s Day. 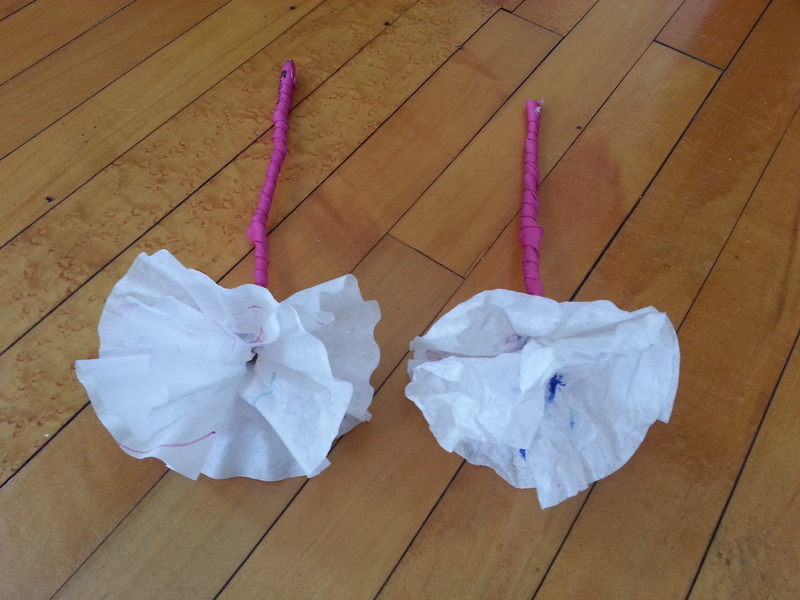 Each child can made a flower and wrap the flowers together when down. 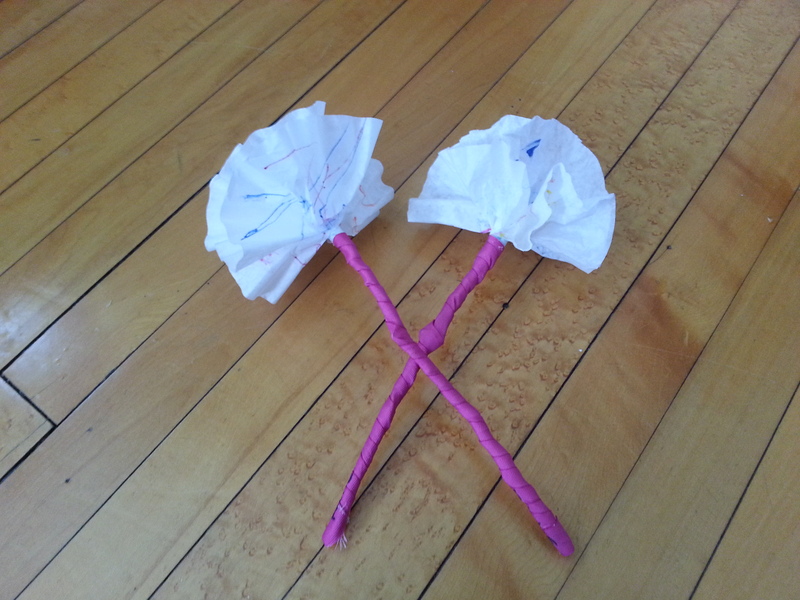 Below are the supplies and instructions on how to make two paper flowers. 1. Have each child color 2 coffee filters (on both sides) with markers. 2. Once the coffee filters are colored, poke a hole in the middle of the filters with a stick. 3. Put a stick through the hole of the 2 coffee filters. 4. Bunch up the filters to create a flower shape. 5. Tape the coffee filters on the stick to hold the flower together. 6. Use a hot glue gun to hold the ribbon together. 7. Place the hot glue on the top of the ribbon and begin wrapping ribbon around the stick. 8. Place the hot glue at the bottom of the ribbon and cut off any extra ribbon. 9. Write the name of each child on the ribbon on the stick. 10. 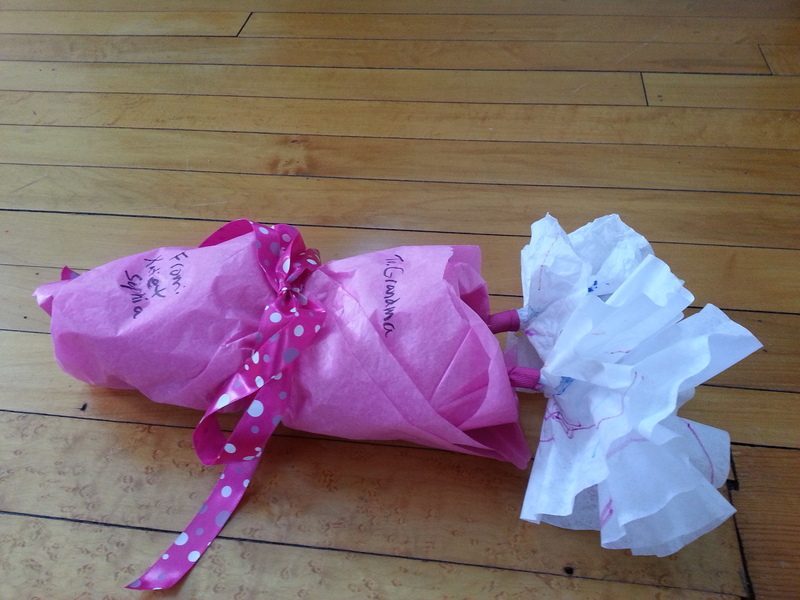 Wrap the flowers in tissue paper. 11. 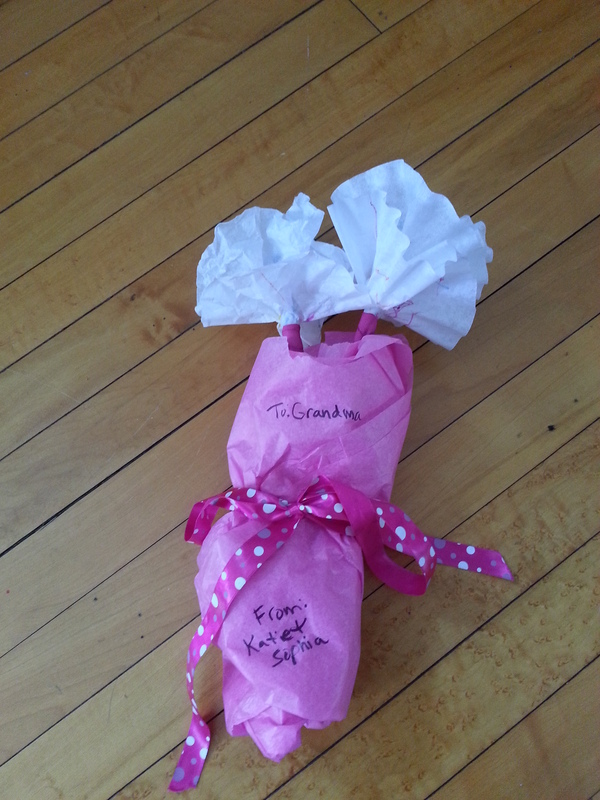 Tie the tissue paper together with ribbon and create a bow. 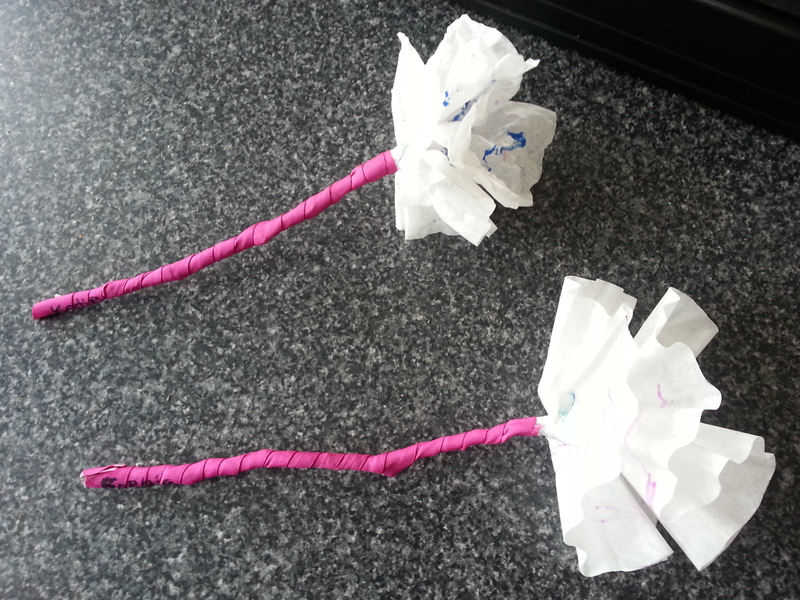 What do you think of the paper flowers my girls made? Would your children love to make these for Mother’s Day? Next Post Minted Abstract Art + Giveaway! These are so sweet! I bet their grandmother’s just melted when they received them. Thank you for sharing at Motivational Monday Link Party. I can’t wait to see what you share this Sunday night.